The Berlinale 2016 revealed the final and complete list of films to be screened during the festival's official competition. Film Inhebbek Hedi (Hedi) by Tunisian director and scriptwriter Mohamed Ben Attia is among the last additions, and the only film from the Arab world to vie for the prestigious award this year. Starring Majd Mastoura, Rym Ben Messaoud, Sabah Bouzouita, Hakim Boumessoudi and Omnia Ben Ghali, the film follows a young man named Hedi who is indifferent to everything around as his authoritarian mother arranges his marriage to Khedija. While the wedding preparations are underway, he meets Reem. Finding himself in love, he is forced to make choices. Born in 1976 in Tunis (Tunisia), Mohamed Ben Attia studied studied Audiovisal Communication at the University of Valenciennes in France. He directed several short films. Inhebbek Hedi is his first feature film. 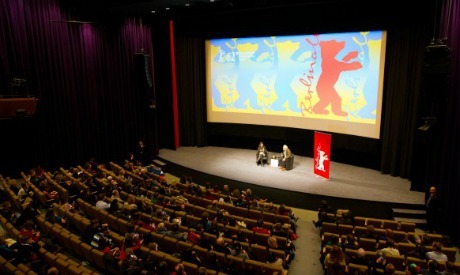 The 66th edition of the Berlin International Film Festival will run between 11 and 21 February.